Published 1996 by Farrar, Straus & Giroux. 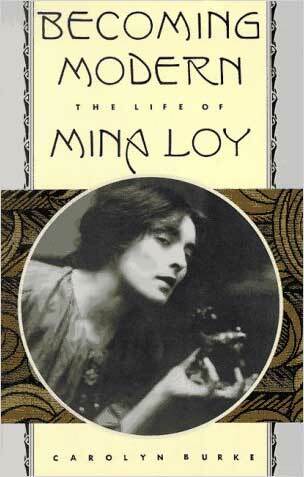 "Mina Loy is one of those names a lot of people recognize without knowing exactly who she was. When she appears on lists of famous presences, it adds cachet, and we nod our heads knowingly; but most of us are hard pressed to say why."